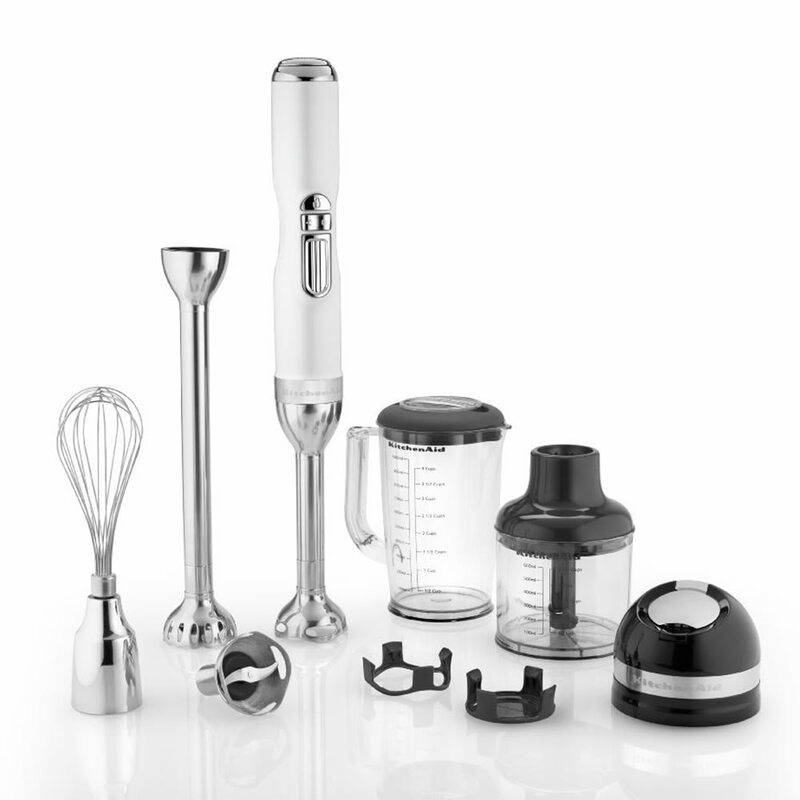 The Pro Line Series cordless hand blender by KitchenAid is just as powerful as many corded hand blenders. It delivers premium performance in a slim design. With five attachments, five speeds, and two blending arms, you can whisk, blend and shred with one convenient appliance..